Last week culminated in two outstanding events that featured some of the smartest, most engaging and fascinating people I know (or got to know). At both events, I refreshed relationships with old colleagues and nurtured relationships with new ones. I’m referring, as you may ascertain, to gatherings of fellow public relations professionals. Both were held in cool venues, both had excellent food and beverage and both reinforced to me something about public relations and those of us who are in this business. Want to know more? PRSA Chicago 2014 Skyline Awards. The evening of Tuesday June 10 was a rainy one in Chicago. But that didn’t damper the enthusiasm of the more than 250 attendees at this annual awards gala and dinner. From the Grand Army of the Republic hall at the historic Chicago Cultural Center, the Chicago PR community met to recognize excellence, network and socialize. My big takeaway: Collectively, PR professionals know how to work together and execute a tremendous event driven by volunteer time, energy and spirit. (As a member of the PRSA Chicago Board, I played a small role in the event: I provided music for the Cocktail Hour. No, not me on guitar and vocals, but cool modern and traditional jazz via CDs.) A round of applause to all who made the evening a success, especially event co-chairs Lauren Brush and Sarah Siewert, who worked very hard and speaking of cool, were just that under pressure — even during those last minutes before the crowds arrived. 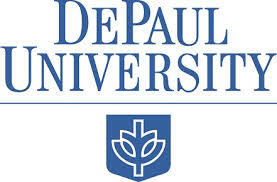 DePaul University Graduate e-Portfolio Showcase. My big takeaway: As a guest, I was invited to meet with the graduates and view their online portfolios. Clearly, by the talent and work presented, academic institutions are developing people who clearly are ready to lead the communications industry in the future. I met with eight young professionals who demonstrated the knowledge, skills and abilities demanded to excel and sculpt communications programs in our digitally-driven world. Frankly, I’m glad I won’t have to compete with these men and women in the future. Wish I had time to meet them all. Tomorr0w, I’ll join Chapter Board members for a rare afternoon meeting. I’ll learn about how well the Chapter did financially from the Skyline Awards, hear reports from committees and provide an update on the training program I’m leading to help members earn the Accredited in Public Relations credential. If you haven’t guessed by now, I really enjoy the public relations profession and the people who are part of it. This entry was posted in Uncategorized and tagged Accredited in Public Relations, APR, Chicago, Chicago Tribune, Edward M. Bury, PRDude, PRSA, PRSA Chicago, public relations, Public Relations profession, Universal Accreditation Board. Bookmark the permalink.